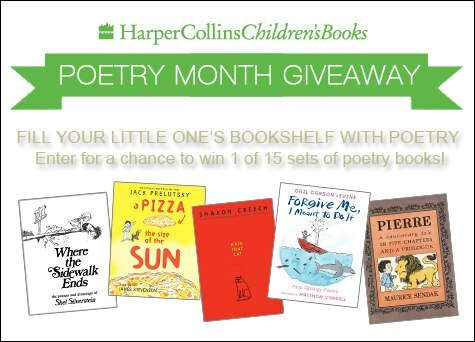 Ir’s poetry month over at Harper Collins Children’s Book and to celebrate they are hosting a giveaway for one of 15 sets of poetry books. To enter, click here and fill out the form. Follow @harperchildrens on Pinterest and repin five or more of your favorite books from their poetry month Pinterest board. Must complete by 4/30/13!